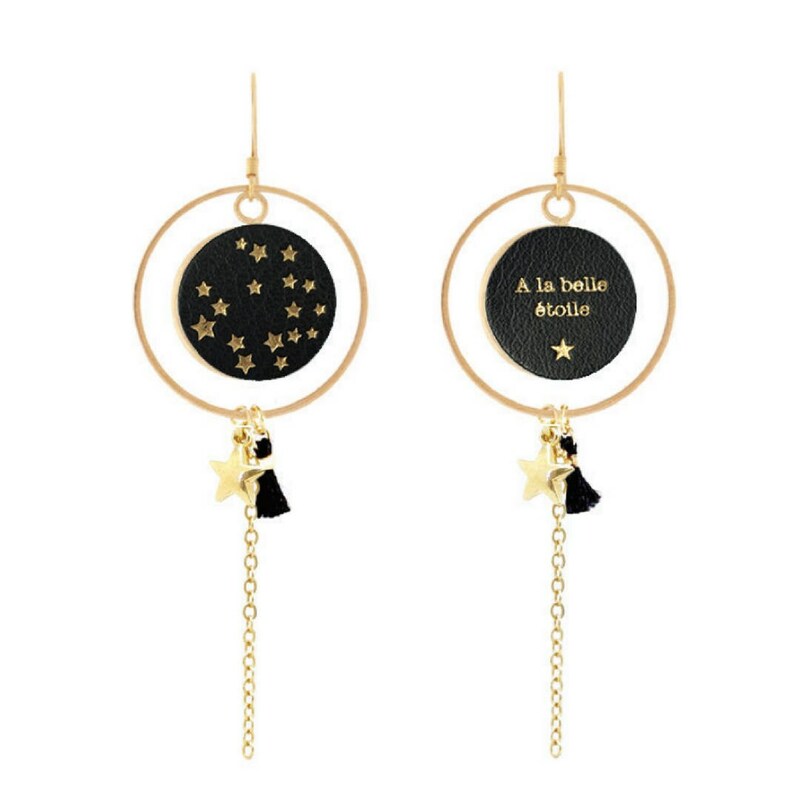 Sophisticated and light, these earrings are made a circle in brass gold/silver mobile that swings in the wind. These earrings are asymmetrical: on one side a pastille in leather with a pattern marked hot, a pastille in leather with a message. Finish, chain and a small leaf. Size of the jewel: 30mm in diameter ring. Total length: 80mm. Presentation and packaging: they are packaged in a pouch Youpla. Envoi très rapide. Superbe bijou.